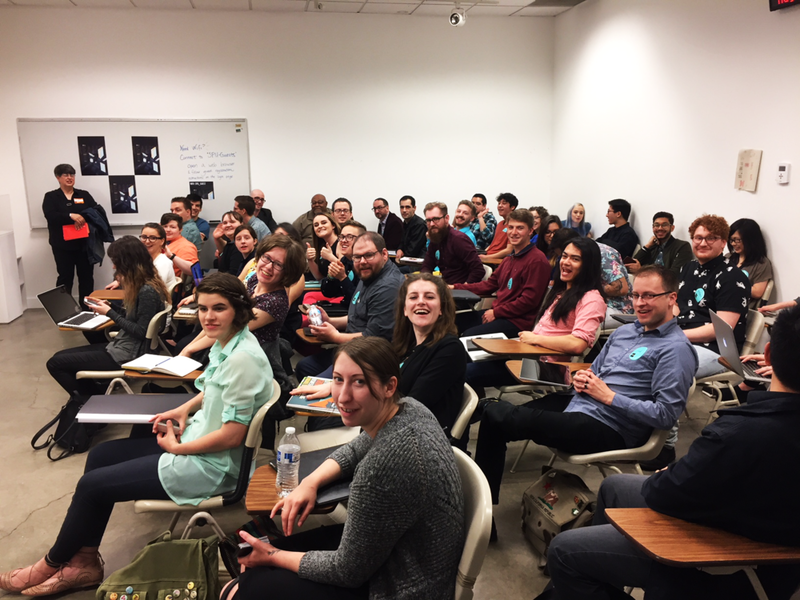 This project was created in order to promote AIGA's annual portfolio review session. With the challenge of creating a unique visual identity, I went through several stages of ideation and iteration before finalizing the elements. The goal of this project was to create a visual identity that would promote the event. 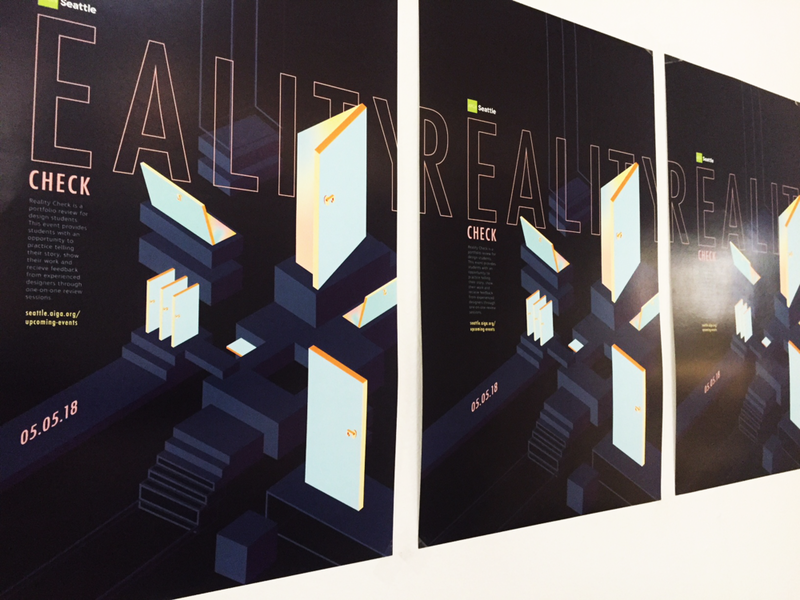 "Create a visual identity for Reality Check." 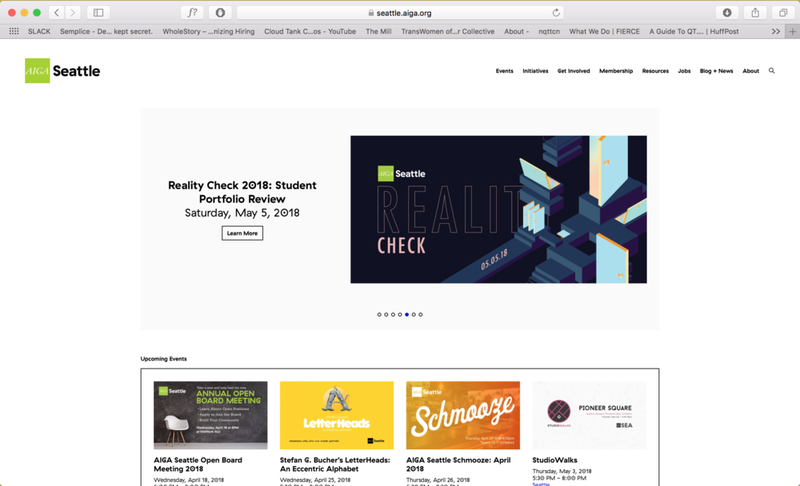 Reality Check is an annual event that is hosted by AIGA Seattle, at Seattle Pacific University. 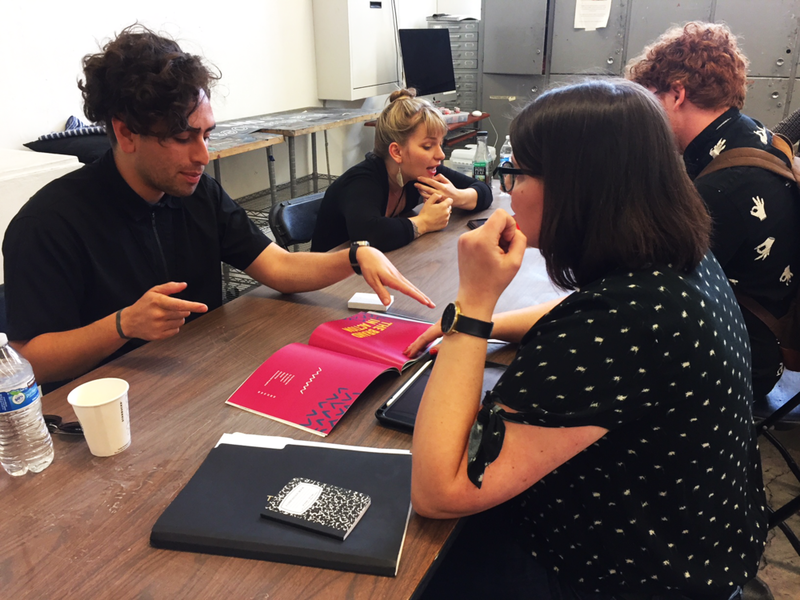 This event is designed to provide designers, of all levels, an opportunity to refine their presentation skills and gain useful feedback from seasoned professionals. 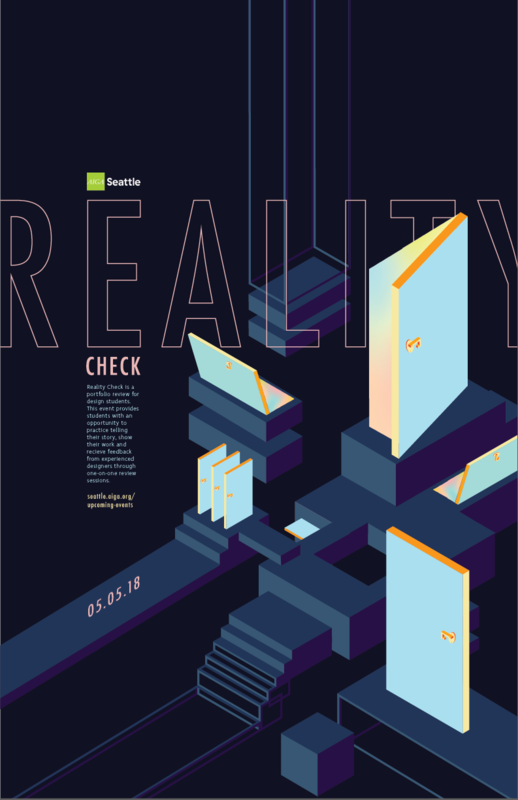 Amongst the students of SPU, Reality Check can be known to have negative, fear-inducing, connotations. 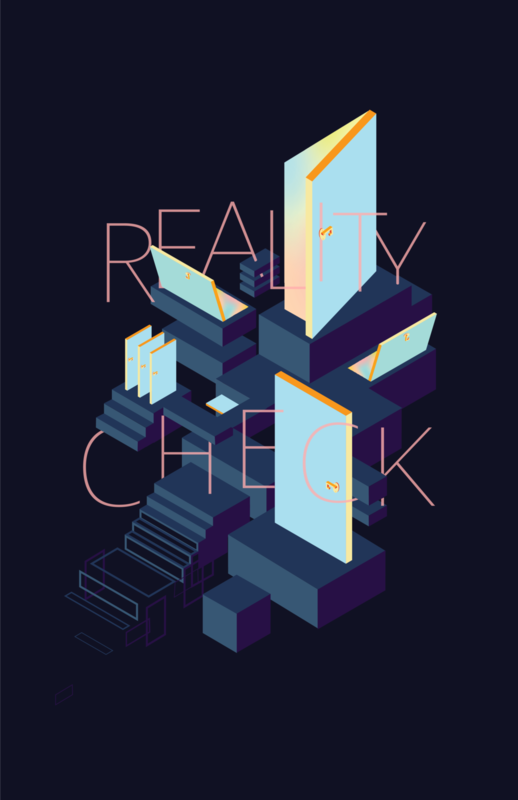 Wanting to offer another approach, I conceptualized surreal visuals to remind the viewers that Reality Check is an opportunity, not an obstacle. While working with James Holt and Karen Gutowsky, I was asked to create a mood board on Pinterest to brainstorm some possible ideas and directions for visual language. Through the research process, I was also shown different interpretations of this event from the previous event designers. Take a peek at the pinterest board below! The next step in this ideation process, was to sketch out some ideas that could be starting points. 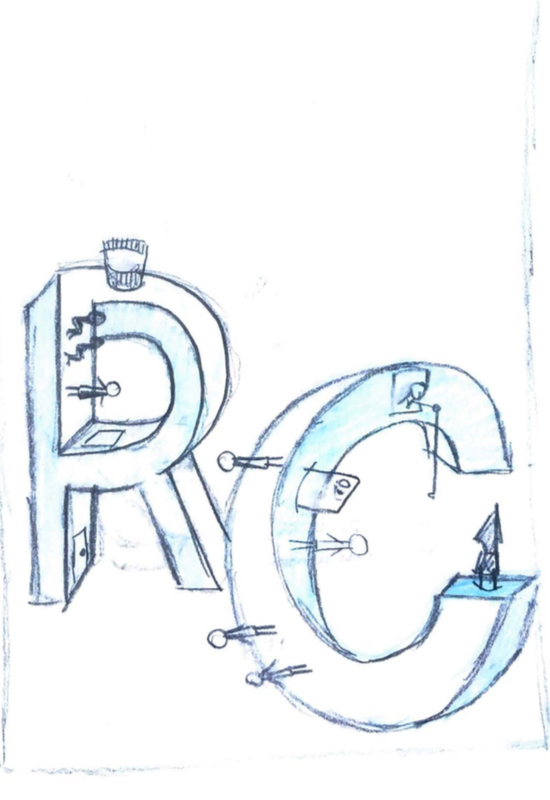 Conceptually, I wanted to emphasize the beauty of Visual Communications! As designers, we have this incredible privilege to see the world in a very unique way. And as I was brainstorming, M.C. Escher came to mind, as he was able to concoct impossible designs that were still able to exist! The next phase of designing came to creating multiple typographic treatments, and varying visual elements. When creating variations, I was challenged to continue stretching the concepts due to the fact that the first three weren't pushed far enough. After more iterations, James and Karen were able to conclude that the fourth treatment was preferred.